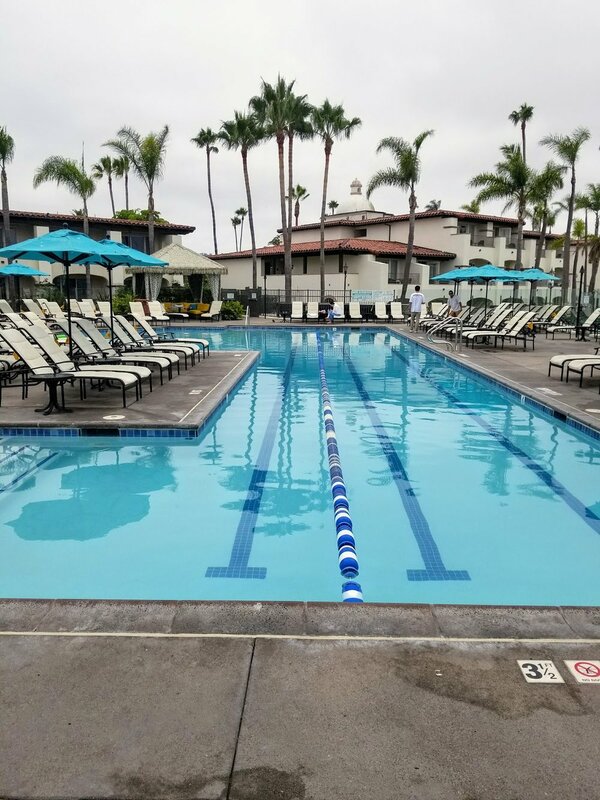 Kona Kai Resort and Spa is one of 17 Noble House properties and one of six in California, located in San Diego at the very end of Shelter Island. 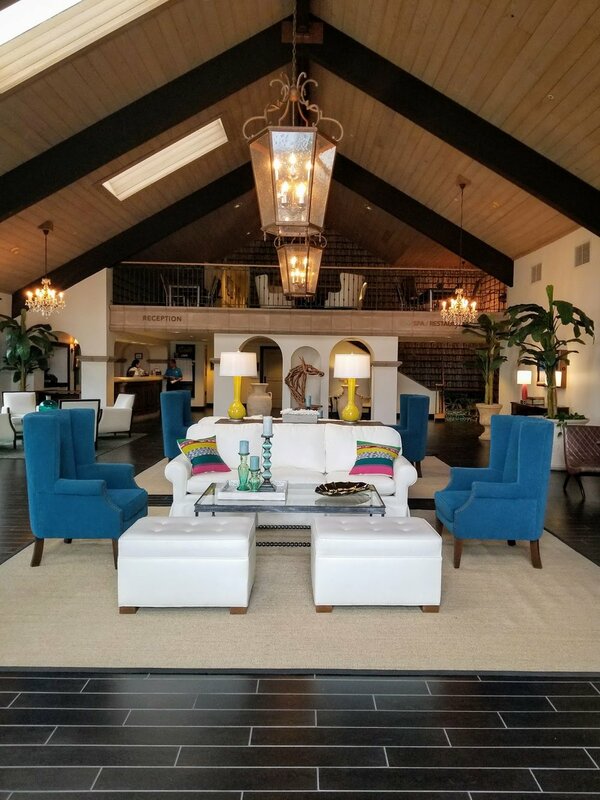 True to the Noble House brand, known for its whimsical boutique offerings, Kona Kai was every bit the modern, upscale, and tropical offering they promised to be. From the moment we walked through the door, they called me by name, and ensured that my needs were fulfilled. During my stay at Kona Kai, I enjoyed SpaTerre, Vessel Restaurant and Bar, the Kona Kai Marina and their beautiful private beach. 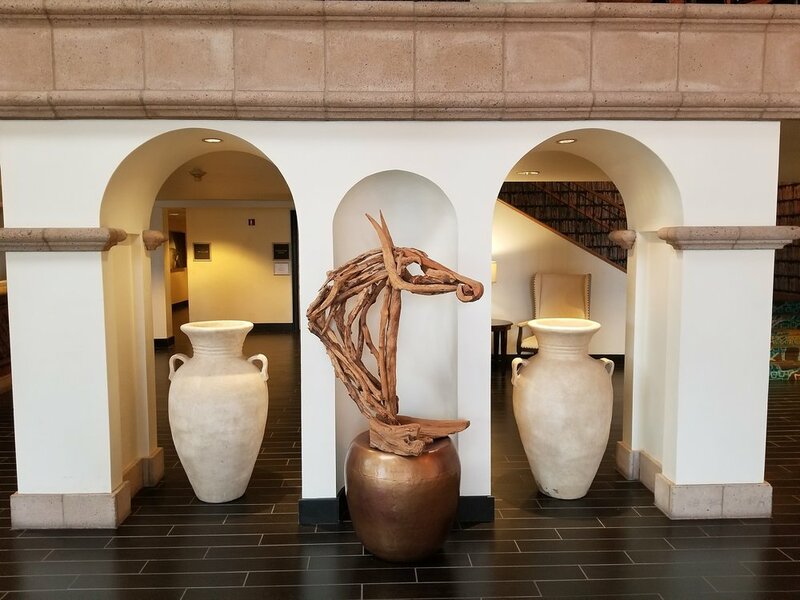 The lobby is absolutely beautiful, with amazing art, water and fire features and little quiet nooks for relaxing and reading. Staff was attentive and catered to my every need. My beachfront room was absolutely beautiful. When I walked into the room there was a beautiful cheeseboard and a bottle of bubbly welcoming me to the resort. 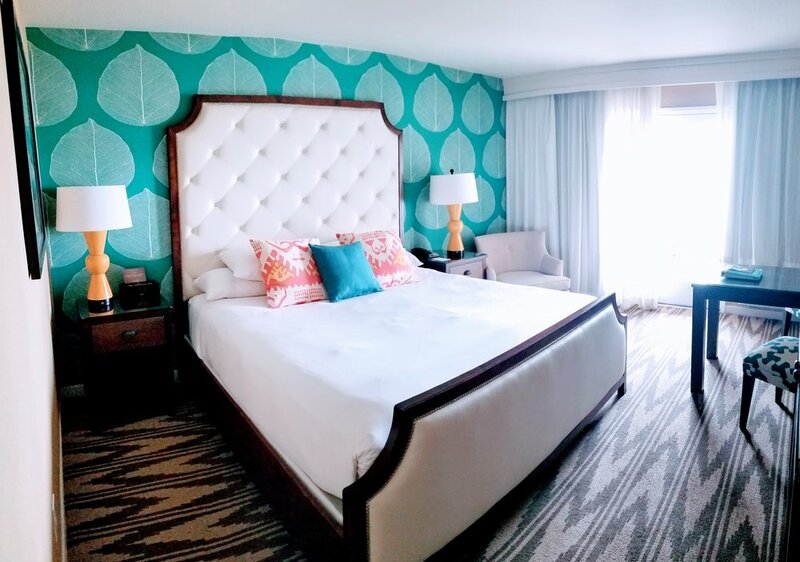 The room was spacious and included wonderful amenities like spa robes, free WiFi, mini fridge, in-room coffee maker and room service with Breakfast, Lunch, Dinner and All-Day dining options. I love that you can explore Shelter Island by bike – bike rental is included in your reservation. SpaTerre is a beautiful, luxurious spa with . They have full service locker areas with a steam room, and a quiet lounge (Zen Den). I opted for the Abhyanga massage (a therapeutic massage which blends traditional Ayurvedic and European techniques. Abhyanga literally translates to “oil massage”. This rhythmical and deeply relaxing hot oil massage helps to move the “prana” or life force which stimulates your body’s vital energy). If you don’t have a spa appointment, you can purchase a Day Pass to use the amenities. After slipping into my robe and enjoying a little glass of bubbly, it was time for my spa service. My massage therapist was very thorough and made sure I was comfortable the entire time. I felt amazing relaxed afterward. I then lounged in the Zen Den rehydrating with cold spa water and sipping on herbal tea. My next visit will include a massage on SpaTerre’s exclusive heated alpha-quartz sand bed. Just adjacent to SpaTerre is a fitness lounge that has everything you need to stay in fit and healthy during your stay. The Vessel Restaurant and Bar offers New American cuisine, and even though it is served in a casual and chic atmosphere, the fare is prime. At the Vessel Lounge you will find live entertainment Thursday through Sunday along with a beautiful view and an incredible happy hour. The breakfast, lunch and dinner offerings at Vessel Restaurant are delectable and the wine list has something very every budget and taste. Every night there are food or drink specials - for example, every Wednesday you get 50% off selected bottles of wine. For dinner we started with a beautiful bottle of Sauvignon Blanc and Calamari Fritto with grapes, celery and a chile-lime dipping sauce. It was easily the best calamari I’ve had in a long time - super tender and flavorful. 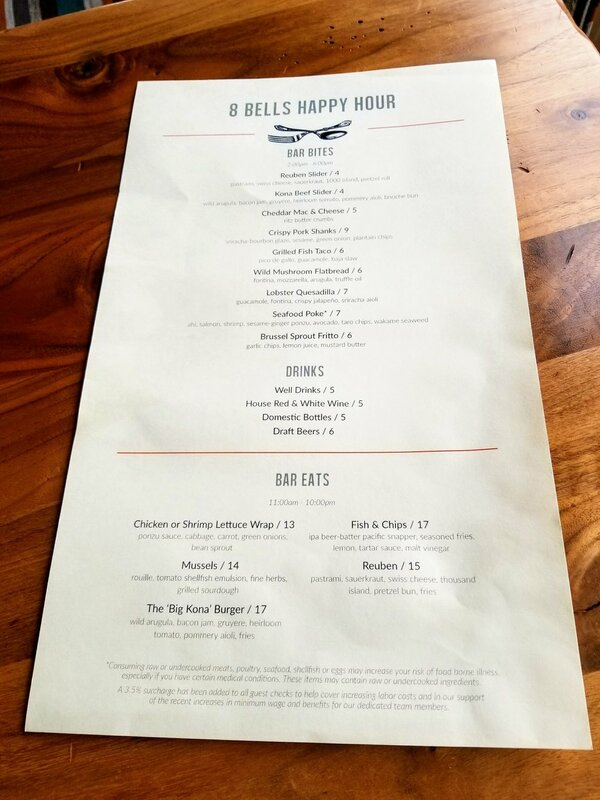 We also enjoyed the Ribeye with crispy yukon potato, blistered tomato, green onion and pecorino romano with a port bordelaise, along with Seared Diver Scallops with chanterelle mushroom, caramelized brussel sprouts, pancetta and beurre rose. Each dish was more delicious than the next. Breakfast in bed sounded great but a scrumptious breakfast with a beautiful view and the sea air kissing our faces sounded even better. 1. 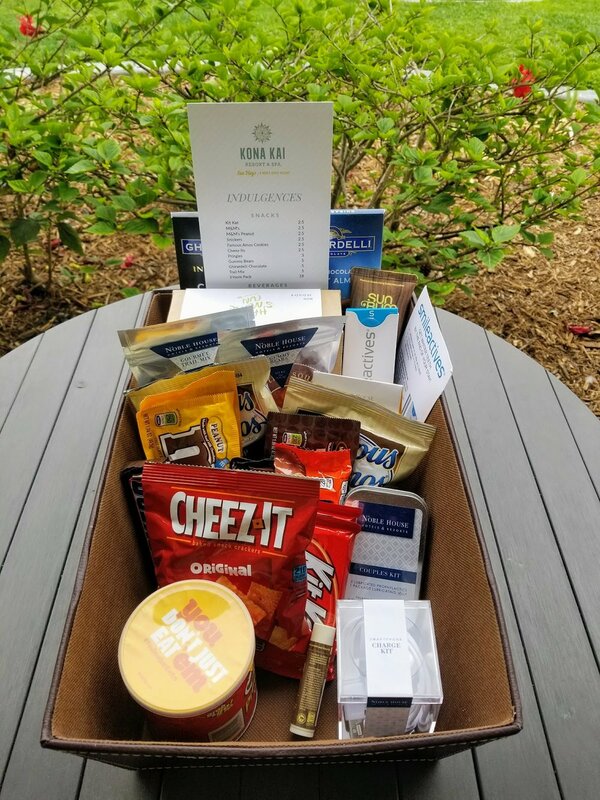 Make Your Own S’mores poolside or at the beach (Guests can purchase a smores kit and make their own smores at the fire pits. Whether a large meeting or small retreat, Kona Kai Resort offers 13,000 sq. ft. of indoor space accommodating up to 500 guests comfortably, and 43,000 sq. ft. of outdoor venues, including a courtyards, gardens and a private beach. I can’t wait to go back after their 41 room expansion from 129 rooms to 170 rooms including 8 New Suites, a new adult swimming pool that will accommodate 175 guests, a new tiki bar and even more outdoor venue space for weddings. While you’re there, pick up one of the The Noble House magazines. It is so beautiful and glossy and features all of the beautiful Noble House properties. I can’t wait to have more adventures with Noble House.